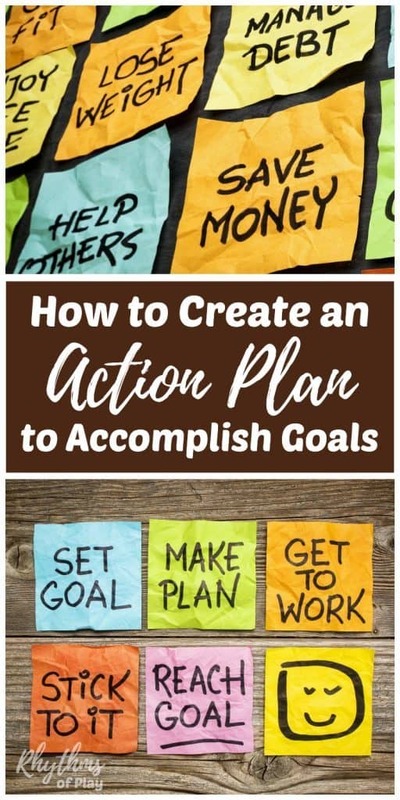 Learn how to achieve goals by creating an action plan for goals. 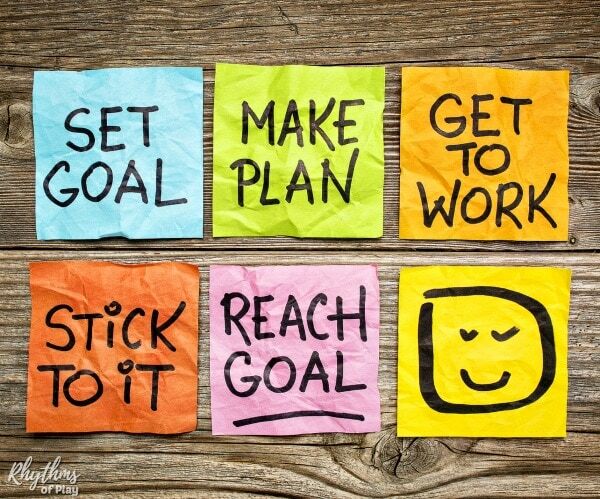 Accomplishing and achieving goals can become a lifelong habit with a solid goal action plan and these personal goal setting productivity tips. We have also included a few achieving goals quotes to keep you motivated! Many people create goals without making an action plan to achieve them. Unfortunately, wanting something does not a plan make. If you want to accomplish your goals, you need to create a step by step action plan to achieve your goals. Before you can create an action plan for goals, you need to set them. Click on the link to get started with goal setting and learning how to set SMART goals. If you have your first three goals all set and ready to go… Learn the action steps for achieving goals below! 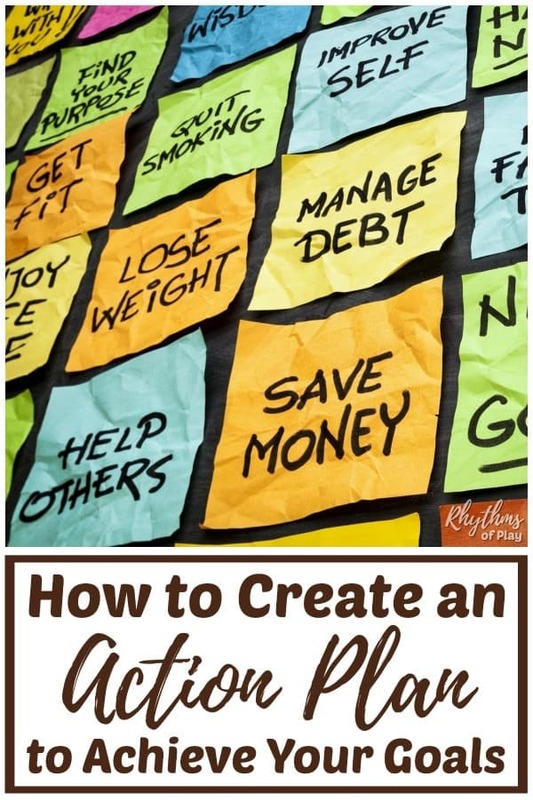 Create or purchase a goal planner to help you stay on track in order to reach your goals! I like to use our master goal list goal setting worksheet, a goal planning journal like those listed below, our weekly routine planner to help me figure out how to fit achieving my goals into my daily rhythm, and a large monthly whiteboard wall calendar . One goal is sure to have risen to the top as your number one priority since you created your master goal list. If not allow yourself a few more days to contemplate which one holds the most meaning and importance for you at this time in your life. Starting with one of your goals allows you to narrow your focus enough to achieve it. It’s better to start out with one goal and complete it than to start out with 3 and not complete any. If you feel confident enough to come back and do this process with your other 2 goals go ahead. Just make sure it is a SMART plan. If not, stick with one goal at a time until you have begun to master achieving goals. 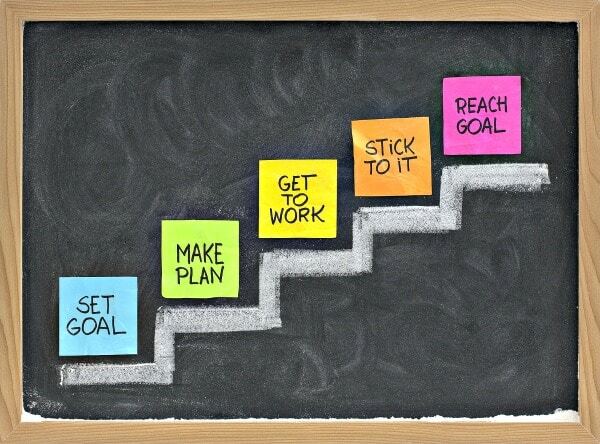 A goal action plan consists of a series of steps that you need to take to reach your goal. In order to create an action plan to achieve your goals, start by listing the steps you will need to take to accomplish your goal. To make an action plan that will work to help you meet your goal, you must first know what it takes to reach your goal. If you do not know what it will take to meet this goal you will have to do some research. Your research may involve going online, to the library, or speaking with people who have experience with this goal. Once you know the steps that it will take to achieve your goal, create a basic outline of the steps that it will take to accomplish your goal before moving on to the next step in achieving your goals. Break the steps to achieve your goal down into the smallest steps possible. Each step should have only one action associated with it. If there is more than one action to take for each step, continue to break it down until there is only one thing to do for each one action step. Create a monthly list of actions that you will complete each month to reach your goal. Follow the step by step directions below to create a monthly goal action plan. Organize the action steps you made in step #3 above by priority. Place the most important step first, followed by the next most important step, and so on. Write these goal action steps down in your monthly goal calendar or weekly planner so you can stay on track to achieve your goals. Simply check off each goal action step as you accomplish it. Setting a due date is necessary to keep your goals SMART. The steps you need to take and the time you will have to dedicate toward reaching your goals will help you determine how long it should take you to accomplish it. After completing the steps above you should have a pretty good idea of how long it will take you to accomplish this goal. Make the due date an attainable one based on all factors needed for its completion so you don’t lose faith and give up. 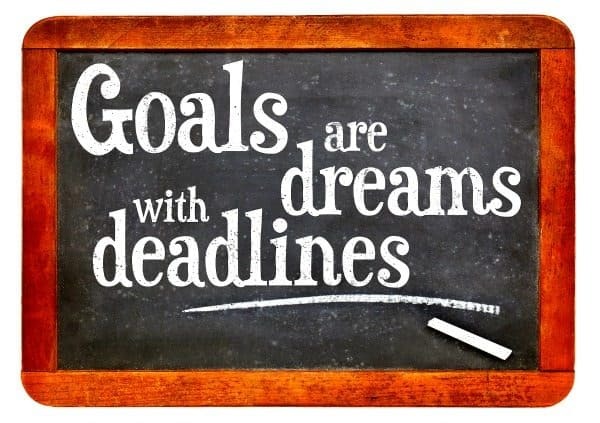 Interim goals or deadlines are due dates created for some of the action steps you need to take to reach your goal. Setting interim deadlines can help keep your plan SMART by assisting you in measuring your progress toward reaching your goal. As an example, if your goal is to lose 25 pounds in 6 months, an interim goal might be; loose 3-5 pounds a month. If my goal was to start a business and earn a full-time income in 2 years, the interim goal might be a part-time income after 1 year. Post your action plan somewhere you will refer to daily. Focus on completing the goal action tasks each day, week, and month to make your goal, or dream, a reality. I like to use a large wall calendar with wet erase markers for this purpose. Keeping my goals and the actions steps I need to complete to achieve my goals in my face helps me stay on track to accomplish them. Maybe it can help you too! We prefer to use wet erase markers over dry erase markers on our whiteboards and laminated weekly planning sheets because they don’t rub off when you are writing with them, and all you need is a wet cloth to wipe it clean. Give them a try! 8. Don’t Take a Detour to Procrastination Station, Eat That Frog ! Procrastination station is working on something else you need to do instead of completing the necessary action steps to achieve your goals. Procrastination station can fool you into thinking that you are being productive, however, it is stealing your focus and keeping you from reaching your goals. There’s an old saying that if the first thing you do each morning is eat a live frog, you’ll have the satisfaction of knowing you’re done with the worst thing you’ll have to do all day. For Tracy, eating a frog is a metaphor for tackling your most challenging task—but also the one that can have the greatest positive impact on your life. Eat That Frog ! shows you how to organize each day so you can zero in on these critical tasks and accomplish them efficiently and effectively. Whatever you do, don’t take a detour to procrastination station. Instead, Eat That Frog by completing your goal action steps first. If you want to achieve your goals you need to reevaluate your plan on a regular basis. Complete a monthly goal review to see if you need to rework any actions or due dates at the end of each month. Don’t give up on achieving your goals just because you fall behind in completing them, instead, rework them each month to keep yourself on track to accomplish your goals. 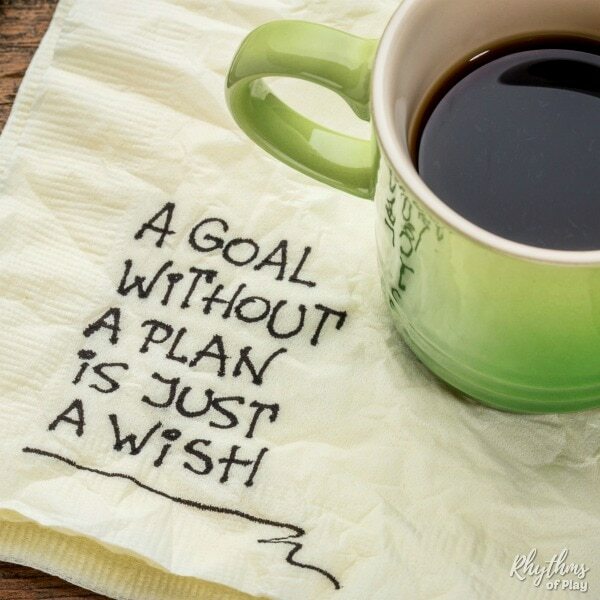 Create an action plan for achieving goals today! Setting goals, creating an action plan, and sticking to it is a surefire way to attain your goals and live the life of your dreams. Simply follow the steps listed above and you will be well on your way to achieving your goals. Don’t wait… do it today! Next, turn your goals into affirmations. Just click on the link to find out why and how to turn your goals into affirmations!